Pick a side, any side. There are no bad views. Choose from a variety of one- to three-bedroom options, all with full kitchen and lanai. Don't worry about the waves. The keiki pool keeps the surf away, leaving you with a tranquil area ideal for swimming. No need to get too fancy - it's just you and the family around the morning table. Relax on the beach cove or take a dip in the ocean. Tucked away on a tranquil side street, this oceanfront Eastern Shore escape is perfectly situated (and feng shui-optimized) for fans of spectacular sunrises. Spend the day lounging poolside, while the kids race to grab diving sticks from the bottom of the pool. Or take the scenic coastal walking path north into Kapaa. The pristine beach is a given, with its calm, protected swimming cove (keiki pool), perfect for kids. And the lighted tennis court means you can still go hit after dinner around the poolside BBQs. Roomy one- and two-bedroom Lae Nani Resort condos are all privately owned and well-equipped with kitchens, and large lanais. A coin-operated laundry area is conveniently located on site – no trekking into town in search of a laundromat. Local shops and restaurants are easily walkable. 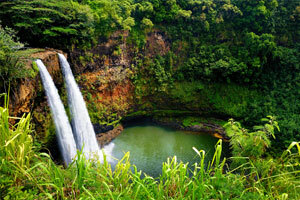 And if you’re planning to explore Kauai’s natural wonders, the Wailua River is just a few blocks away. - Front desk is open 7:00 AM-9:00 PM daily. The check-in location differs from the property location. To check in, go to 4-820 Kuhio Hwy in Kapaa, Hawaii, 96756. Guests that are planning to arrive late must contact the property in advance using information on the booking confirmation.